Please us the 'contact us' form and state if you want a baby as a pet, or for breeding. Refer to the Litters page for upcoming pups. For breeding purposes I home to NHC (any of the three regional clubs) registered members with registered prefixes. If you do not wish to breed please see 'Pet home' below. 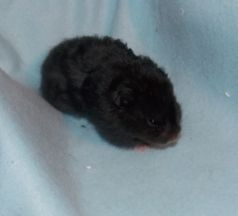 All of my hamsters have pedigrees. I'm always happy to loan animals for stud if I know you. I will always prefer to be given the opportunity to take back an older animal I have bred if they need a new home. I often send my animals abroad but I will only do so if I can hand over directly to you (or fellow breeder) at a show either here in the UK or at the Houten Expo in April. I do not use couriers and I don't 'ship' animals so please don't ask me to do so. Please do enquire well in advance of your chosen show to avoid disappointment. Pet homes will be asked a variety of questions before being given one of my babies. Please don't take this for snooping, I am vetting potential homes to make sure I am happy that my babies will be cared for appropriately. Equally, please do ask me questions if you have any concerns and I'll be happy to answer them. membership to the NHC is not essential, but information on joining will be given to each home. Please enquire using the contact page. 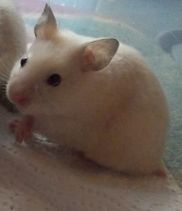 In return, you will receive a pet pedigree, a pet contract/agreement advising that I will take the animal back if needed, hamster club information, a care sheet and a portion of their familiar food to help with their transition. Please keep your baby's registration number handy for any contact so that I can always identify the animal you wish to discuss. Prices will be given on request. Take a look at my New Owners Shopping List to see what basics you need to buy before collecting your hamster. All my animals can be returned to me if necessary. Please don't take this for granted and think you can have them on 'trial' and return them when bored. Any animal should be purchased with due consideration for how you will care for that animal for the rest of it's life.